Give so kids can grow to change the world! 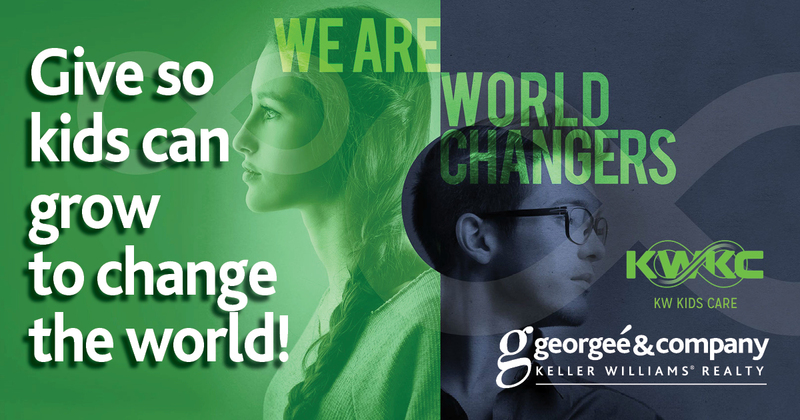 KW Kids Can is an educational nonprofit that engages the next generation of entrepreneurs and leaders. Young adults learn how to gain their edge in an increasingly competitive world with concrete tools that help them live life to the fullest. Donate just $5/ticket and receive a chance to win one of 3 great prizes! Stop by Georgeé & Company’s Keller Williams Miami office at 700 NE 90th Street to enter. 1) Go to https://app.kwkc.org/donate and complete your $5 donation. Select “#351-Miami NE- Miami, Florida” for Keller Williams Affiliation data field. 2) Then, email david@georgeekluck.com with your name/phone number and a note that you just donated to KWKC. Winning raffle tickets will be drawn on Friday, November 4, 2017. Raffle organized by Georgeé & Company Keller Williams Realty and all proceeds benefit KW Kids Can. Learn more at kwkc.org.